HAWTHORNTHWAITE, JAMES HURST, secretary, land agent, politician, and businessman; b. 1869 in County Westmeath (Republic of Ireland); m. 1890 Elizabeth (Ada) Bate, and they had eight children; d. 1 Nov. 1926 in Victoria. Educated in England, James Hawthornthwaite went to British Columbia in the late 1880s. His early employers included the American consulate in Victoria, for which he worked as a secretary, and more important, the London-based New Vancouver Coal Mining and Land Company Limited, which operated collieries in Nanaimo. His position as real estate agent with the NVCMLC introduced him to the intricacies of settlers’ rights and competing mineral claims on Vancouver Island; a huge swath of the island had been ceded in 1886 to a coal-mining enterprise headed by Robert Dunsmuir*. Hawthornthwaite became a very public opponent of the Dunsmuir family. The NVCMLC’s long-time manager, Samuel Robins, was a dogged rival of the Dunsmuirs and one of a number of interesting local personalities who were Hawthornthwaite’s political mentors. Robins enjoyed cordial relations with the Miners’ and Mine Laborers’ Protective Association, whose general secretary from the early 1890s, Ralph Smith*, also influenced Hawthornthwaite. Another mentor, Mark Bate, was a business associate of Robins and a former mayor of Nanaimo. In 1890 Hawthornthwaite cemented his alliance with Bate by marrying his daughter Elizabeth. Last, but not least, was Eugene Thornton Kingsley, whose doctrinaire socialist preachings would have a wide impact on the political life of the west coast. West coast socialism was, of course, neither pure nor simple. A populist campaign against the Dunsmuirs was its driving electoral force, as Vancouver Island became the nerve centre of the fledgling Socialist Party of British Columbia, founded in the summer of 1901, and later of the Vancouver-based Socialist Party of Canada. Hawthornthwaite and Kingsley were founding members of the SPC in 1904. James Dunsmuir*, who managed the family’s coal-mining assets with an iron fist between 1889 and 1910, served as premier in 1900–2 and he continued in the limelight as lieutenant governor between 1906 and 1909. His arrogant assertion of managerial rights before the royal commission on industrial disputes in 1903 and his transparent conflicts of interest made him a convenient political target. 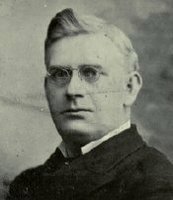 Hawthornthwaite and another representative of the Nanaimo coalfields, Parker Williams, were returned in the provincial elections of 1903, 1907, and 1909 as revolutionary socialists committed to the anti-Dunsmuir cause. During the sessions of 1908 and 1909 they were joined by the mainland miners’ representative, John McInnis. Unlike Hawthornthwaite and Williams, McInnis had not been elected on a SPC platform, but he deferred to Hawthornthwaite’s parliamentary leadership as part of a province-wide and, indeed, nation-wide strategy to link the SPC with the miners’ movement. Hawthornthwaite’s contributions were far more constructive than revolutionary and had included rudimentary farm security legislation in 1901 and a workmen’s compensation act in 1902. 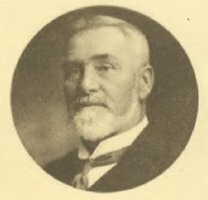 When Conservative premier Richard McBride* took office in June 1903, he had only a small majority so he turned to Hawthornthwaite for support. Thus, Hawthornthwaite was able to push for additional legislation, including improved safety standards and labour reforms in the mining industry. The premier used members of the socialist caucus to sound out the opinion of the popular class on a narrow range of issues. In return, Hawthornthwaite and his associates eschewed detailed criticism of McBride’s policies of development. There were limits to such arrangements. For example, McBride allowed members of the socialist caucus to lead the fight for women’s suffrage, but applied no party discipline to bring it about, though he personally supported enfranchisement of women as part of his “white B.C.” policy. In addition, administration of labour legislation sometimes made a mockery of the reforms enacted during McBride’s premiership. Hawthornthwaite’s correspondence shows that the enforcement by government officials of different parts of the Coal Mines Regulation Act depended on his persistent efforts and those of other elected officials. Nevertheless, and although accumulated grievances in the Vancouver Island coalfield would later boil over into violent confrontation, for a time the socialist alternative of a “strike at the ballot box,” the slogan of the socialist Western Clarion (Vancouver), had unexampled success. Their local base seemingly secured, SPC activists on Vancouver Island pulled out all the stops in a campaign from 1904 to 1908 to defeat Smith, who had abandoned his independent stance as a Labour mp to join the federal Liberal caucus of Sir Wilfrid Laurier*, and elect one of their own. The popular Hawthornthwaite resigned his provincial seat in 1908 to join the anti-Smith campaign. Some historians have suggested that the SPC’s pacifist stance was the cause of his narrow defeat in Nanaimo in the federal general elections of that October. The riding included the naval base at Esquimalt, which would soon be transferred from Britain to the federal government. Hawthornthwaite regained his provincial seat in a by-election held on 12 Jan. 1909. Hawthornthwaite, who had referred to himself as a “free miner” in 1908, turned his attention in 1911 to speculative enterprises such as a prospective pulp and paper mill at Cowichan Lake. It was an attempt, as he explained to Kingsley, his partner in the business, to “square us up with the world.” His divided personal agenda became intolerable to some SPC members. In an internal fight that coincided with wider ideological schisms between purist and revisionist factions, he was expelled from the party in 1912. The Nanaimo local of the SPC went over as a body to the more moderate Social Democratic Party of Canada, but Hawthornthwaite did not represent it in the provincial elections of that year. His business activities – and, very likely, his personal relationship with McBride, who was frequently in England – enabled Hawthornthwaite to travel to London and Europe on the eve of World War I. During the war he kept a low profile at his residence, Burleith House, in Victoria, acting in a potentially controversial role as a representative of German investors in British Columbia. He would later claim to have met the exiled Bolshevik leader Lenin during his travels and though this claim cannot be verified, the Bolshevik revolution in Russia evidently rekindled his political fires. The wartime break-up of what remained of the SPC coalition on Vancouver Island presented him with an opportunity to regain a seat in the provincial legislature; he was successful in a by-election held in Newcastle in January 1918. Hawthornthwaite’s campaign was part of a movement in support of the Federated Labour Party, a new coalition supported by former SPC stalwarts such as Kingsley. The FLP movement was clearly a lightning rod for anti-war sentiment and general social unrest, full of rhetorical solidarity with Lenin and Bolshevism. Hawthornthwaite’s third stint in the legislature was, not surprisingly, barren of personal achievement. He had no allies in the assembly and the Liberals under premiers Harlan Carey Brewster* and John Oliver had no need of his support and no desire to let him influence legislation as he had in the pre-war years. Hawthornthwaite’s problematic claim to represent Vancouver Island’s “wage slaves” was successfully challenged by a working miner, Samuel Guthrie, in the general elections of October 1920. He continued to dabble in socialist politics as a sideline to business, but his effectiveness had come to an end with his defeat at the polls. The Canadian annual review of 1918 had described Hawthornthwaite as “a Miners’ representative of the most radical type.” By the time of his death in 1926, he was probably better known for his boosting of gold-mining properties in the Cassiar district, investments he had been promoting for a few years. James Hurst Hawthornthwaite’s legacies are hotly debated by historians. The pioneering socialists of British Columbia, of whom he was one of the most prominent, are viewed by some as a collection of charlatans who exploited class consciousness for personal gain, by others as architects of regional political identity, and by still others as prophets of social democratic values now widely accepted as part of the Canadian ethos. Even the briefest consideration of his multi-faceted career illuminates all of these arguments and helps anchor discussion in the history of ongoing struggles for western lands and resources. The author is grateful to Don Stewart of Vancouver, who allowed access to the Hawthornthwaite papers. These papers are now located at Simon Fraser Univ. Library, Special Coll. and Rare Books (Burnaby, B.C. ), in the History of Western Canada Coll. Lynn Bowen, Three dollar dreams (Lantzville, B.C., 1987). Canadian annual rev., 1918. Canadian men and women of the time (Morgan; 1898 and 1912). CPG, 1901–20. Electoral hist. of B.C. [J.] M. Leier, Rebel life: the life and times of Robert Gosden, revolutionary, mystic, labour spy (Vancouver, 1999). A. B. McCormack, Reformers, rebels, and revolutionaries: the western Canadian radical movement, 1899–1919 (Toronto and Buffalo, N.Y., 1977; repr. 1991). Allen Seager, “HAWTHORNTHWAITE, JAMES HURST,” in Dictionary of Canadian Biography, vol. 15, University of Toronto/Université Laval, 2003–, accessed April 20, 2019, http://www.biographi.ca/en/bio/hawthornthwaite_james_hurst_15E.html.